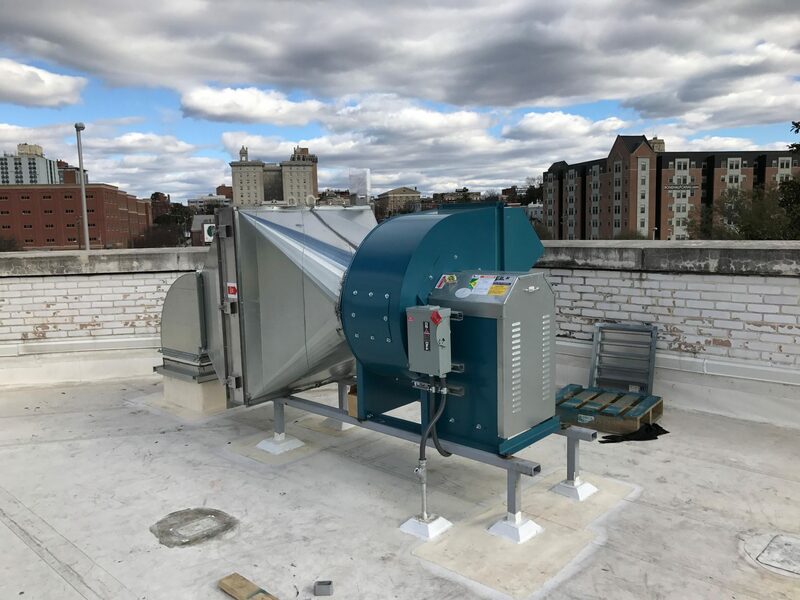 The BCVR is a backward inclined utility set designed to supply and exhaust air in hospitals, hotels, schools, fume hoods, etc. and is UL 762 listed for the exhaust of grease laden air. The BCVR is designed to meet AMCA requirements for Class L, Class I and Class II construction with both aluminum and steel wheels. Fan housings are coated with an epoxy powder-coat as standard. Weather covers are also available for protecting the motor and drives for outdoor applications.